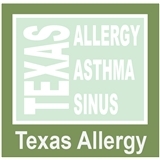 Texas Allergy (Houston) - Book Appointment Online! Texas Allergy is an Allergy Clinic in Houston that offers you and your family state-of-the-art care in allergy, sinus, asthma, and immunology diseases. At our Allergy Clinic in Houston, we are committed to providing patient-oriented and comprehensive care to all of our patients. Our friendly staff and board-certified Allergist & Immunologists are dedicated to providing you and your family with optimal outcome and cost-effective care with both treatment and education. Understanding of your disease process is an important goal in achieving optimal and satisfactory outcomes. Great Dr. But my conditions are not his typical swevices. He was able to help, but I need to be referred out to specialist.